Cricketers, follow Imran Farhat’s example and find the right father-in-law! After having read the famous quote, “A man in love is incomplete until he is married. Then he’s finished”, I realised how untrue this was in case of Mr Imran Farhat. No one could finish him ever since he got married and once again, our superhero is back! 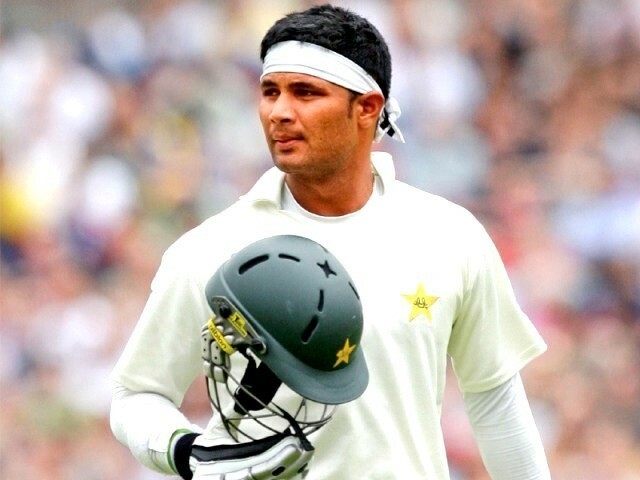 Imran Farhat has successfully made another comeback into the Pakistani cricket team. This time, I am comparing his return to that of Mr Aamir Liaquat’s epic comeback to his home TV channel. Both have certainly inscribed their marks among the masses, due to their common talent of making comebacks. Mr Liaquat relishes a ‘doctorate’ degree, whereas Mr Farhat is enjoying a certificate; the marriage certificate. Since his “phenomenal” heroics at the Champions Trophy, that enabled Pakistan to take an early exit to enjoy a much-needed breather before important future tours, Farhat’s workload was realised by the PCB and they decided to give him ‘due rest’ for the West Indies series. Against all odds, the master of comebacks has been selected for the Zimbabwe tour. His recent domestic performance is in front of my eyes; I am stunned to see that he scored 16, 7, 14, 5, 5, 65 runs in his last six domestic matches. I must acknowledge that those 65 runs were enough to prove his capabilities and to bring him back to the team against an important opposition like Zimbabwe. “Before marriage, a man yearns for the woman he loves. After the marriage the “Y” becomes silent”. Now, I would request for the entire nation to observe a moment of silence for Farhat’s return, just like it is silently watching “Ramazan Aman”. You might all know that Nasir Jamshed has been dropped from the Test squad, but do you know why? To date, he has no father-in-law in the PCB. In fact, he has no in-laws at all. Otherwise, a young and talented player like Jamshed, presented no other reasons to be dropped out. On the other hand, Farhat will go ahead and score some cheap runs, to (once again) ruin some important future series. But of course, he will still be called back. After all, who can keep “damad ji” out of action (and the news) for a longer period of time? Jamshed, a little piece of advice, if you ever decide to marry just remember, “love is blind, and marriage is the eye-opener”. If you’re smart, you’ll realise what else marriage will open up for you in front of blind selectors! Dear selectors: have you really selected Faisal Iqbal and Wahab Riaz too? Is there any criterion or merit for such decisions? Apart from Faisal Iqbal’s modest average of 26.76 in 26 Test matches, his last few domestic innings read 25, 22, 48, 4, 4, 42. He, aged 31, is not a youngster anymore either. How long will he get chances? Two relatively younger batsmen, Umar Akmal and Fawad Alam, average 48.94 and 55.96 in domestic, respectively. If you won’t play them against Zimbabwe, then where and when will you try them? Similarly, Usman Salahuddin (averaging 47.21), Haris Sohail (averaging 51+) have been overlooked for Test team selection, for no apparent reason. If Imran Farhat can get 40 Test matches over a decade with a modest average of just 30, why can’t Fawad Alam after averaging 40+ in only three Test matches? In the bowling department, PCB opted for Rahat Ali and Ehsan Adil, instead of consistent performers like Sadaf Hussain and Asad Ali. Asad couldn’t impress the selectors after his performance in the ODI series in the West Indies, but his First Class bowling statistics (averaging 22.87 for 355 wickets) are far better than the other two. He certainly deserved more opportunities. There are some other notable omissions too. For instance, the young aspiring wicket keeper Mohammad Rizwan has also been dropped past the West Indies tour, without even being tried. He averages about 44.32 in the First Class and his snubbing is mind boggling. How can a cricketer prove himself without even being tried? Similarly, Hammad Azam was dropped after only two chances, which is unfair to a young player like him. Pakistan desperately needs an all rounder and if Azam is not good enough, then Abdul Razzaq could have been reselected. The World T20 is around the corner and we need at least one good all rounder to compete against the international teams out there. Finally, another old saying reads, “you have two choices in life: you can stay single and be miserable, or get married and wish you were dead”. However, contrary to this statement, I would advise our young aspiring cricketers to get married to the daughter of a PCB official and be certain that another comeback is always round the corner. You cannot choose your uncles, but you can always choose your in-laws! 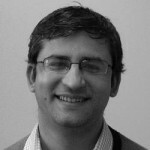 An electrical engineer with a PhD in Computer Engineering, Faisal Nadeem's interests include sports, art, literature, culture and religion. Will the 2014 World T20 be the most competitive ever? Yes! Thank you Faf du Plessis for showing us that the ICC cares... about you! PCB's secret selection formula: Keep your average low and age high! PCB and our cricket team is perfect example of family run business. Well what I do not understand is that why is everyone writing against Faisal Iqbal? Just because the guy has been dealt a hard hand by the selectors everytime he scored? Considering that everyone is criticizing his selections, I believe that M. Hafeez should also be left out of the squad!!! What Faisal has an average of 26.76 whereas Hafeez has an average of 35.12! wow! In ODI’s Faisal has an average of 23 whereas Hafeez has an average of 27 and yet he is made the captain of Pakistan ODI team and everyone appreciates that.. so we really are a nation full of vested interest.. Yes, I believe the writer has some sort of a personal vendetta in criticizing Faisal or maybe just because the writer has no cricketing experience at the top level he is writing such stuff. Or maybe it is a fact that Faisal has been around for ages and is aged 31, so what, Hafeez is 32, drop him also. Furthermore, my question is why have the selectors not bothered to actually play Faisal in tests. I’m afraid the answer to that is that they are scared of the fact that he is hungry and probably the only player on the current cricketing scene of Pakistan who plays technically correct cricket instead of the slam, bam, thank you ma’am stuff players like Hafeez, Umer Akmal, Kamran Akmal and the lot are used to. You are either Faisal Iqbal yourself, or his personal manager. lol. You want to compare Faisal Iqbal with Hafeez? @Omar: I second your comment! Faisal Iqbal should be given a chance, he is far better than the current lot representing Pakistan. It’s high time now to remove/replace Sargodha lobby from Pakistan Team. Hafeez and Misbah should be sent back to school so that they should learn how to rotate the strike! Can anyone from PCB or media can share the test and ODI stats of current players representing Pakistan and the number of matches they have played. Though this is available online but this is needed here to show the actual potential of Pakistani players, i bet if you add centuries scored by current players with that of Ian Bell, Alistair Cook, Virat Kohli, Pakistani players cannot match the number of centuries the above stated players have scored! Why are the Akmal brothers selected every time?dont we have players? or do they have a big source? or Pakistan Cricket team belongs to their father? answer is required. I believe Faisal Iqbal is the only technically correct player currently playing cricket in Pakistan and as a result of his gifted technique, he is sitting outside! Let us pray that Faisal gets a chance in the playing eleven so that he can prove his mantle likewise he proved it against India with a rock solid century. Everyone who is disagreeing to my post on Faisal being given a chance must realize that players like Misbah, Shoaib Malik and Hafeez have always connived against him. He was bought in at the ripe age of 16/17, then was dropped in favor of Inzi and Yousuf (fair enough). However, PCB and selectors have spent 10 years in grooming this kid for the future of Pakistan cricket, even touting him as a future captain by giving him the captaincy of several junior level teams, then how come when its his time ‘parchi players’ are preferred over him. Players who are morons and do not realize that the beauty of batting lies in occupying the wicket and playing as much as possible but instead go out to slog and get out. How many of these guys can actually challenge him for his technique and play with a straight bat? I agree with Talha that Faisal is one of the most technically correct batsmen around. Also, give him a chance and if he fails again then tell him that its the end of your career, thank you for everything and you will not play for Pakistan again. its unfair to keep him in the squad but not give him a chance. Faisal is the only technically correct batsman currently playing cricket in Pakistan! Well the truth behold that indeed Pakistan cricket is at the verge of being finished!